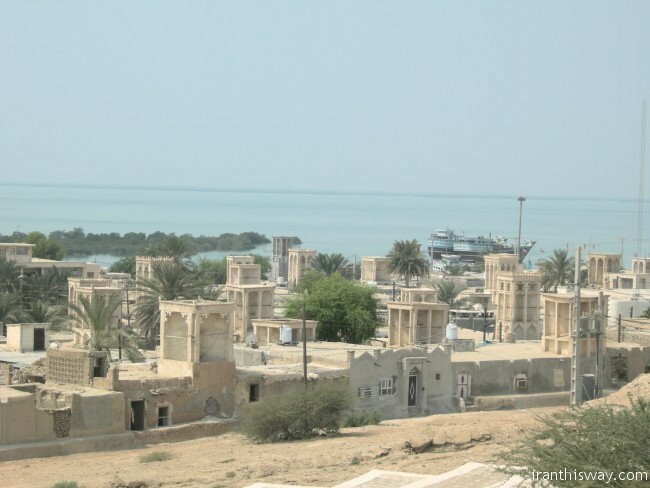 The top 10 things to see in Qeshm - IRAN This Way: Become familiar with Iranian lifestyle! Pontia Fallahi: When most people think about travel in Iran, they think of Shiraz and Isfahan, the big brothers of Iranian history and civilization. Few think of Iran as an island destination when, in fact, there are two major islands: Kish and Qeshm. Both islands are free-trade zones, and foreign tourists require no visa for up to 14 days. These islands are not your ‘typical’ islands in the sense that you should not expect palm tree-lined beaches and bikini-clad women, but they are rich in terms of ecotourism and geotourism. Qeshm, the largest, dolphin-shaped Persian Gulf island has a plethora of natural attractions, from pristine islands to forests, valleys to caves, and all the wildlife and cultural heritage in between. 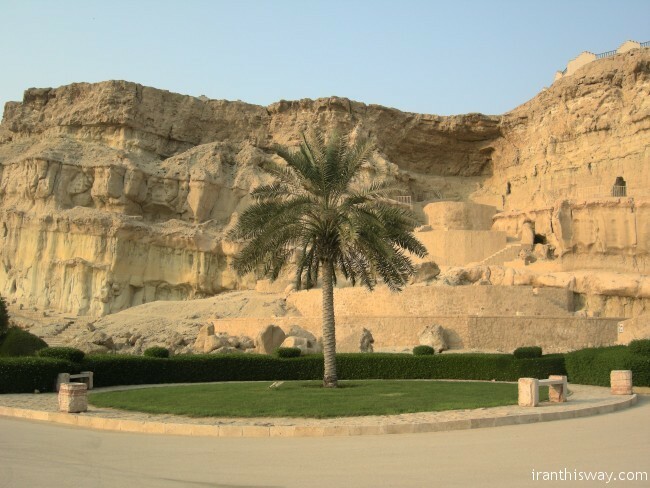 The Culture Trip explores the top ten things to do and see on Qeshm Island. 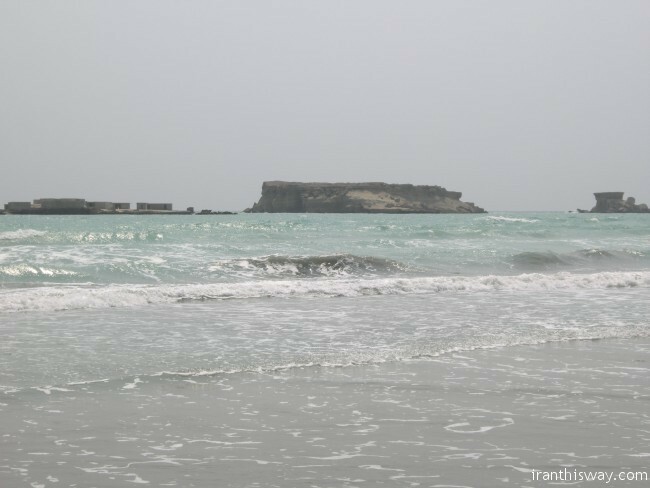 Naz Island is situated on the southern coast of Qeshm. At low tide, you can stroll on the soft sand full of colorful seashells and coral. During the ebb, this stretch of land is also the preferred spot for cars and trucks to race. Once high tide rolls in, however, it is hard to imagine that all of this was completely dry just a few hours earlier. The high and low tides of Naz Island were made famous by the popular Iranian TV series, Paytakht, in an episode in which a family, unaware of this phenomenon, parks their car out on the island during the low tide and gets stuck, their car and belongings slowly becoming flooded by the waters of the high tide. Located just behind Qeshm’s northern ‘fin,’ this forest is an 8,000-hectare biosphere reserve of mangroves, or hara as they are known locally. 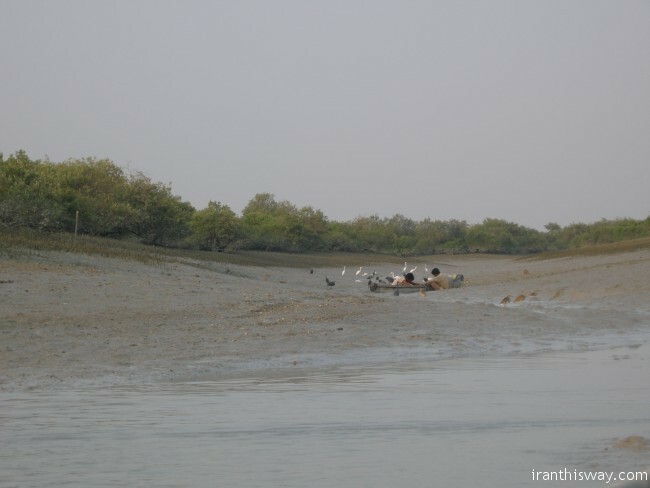 The mangroves, roots, and sludgy beds surface during the low tide, but this forest disappears during the high tide. The mangroves are rooted in the salt water of the Persian Gulf, but the filtration system of the bark extracts the salt, allowing sweet water to reach the leaves. This forest is mainly used for fishing, tourist boats, and a small amount of leaf-cutting for livestock feed. Sea turtles, crabs, shrimp, snakes, herons, cranes, and pelicans are among the animals that call this forest home. 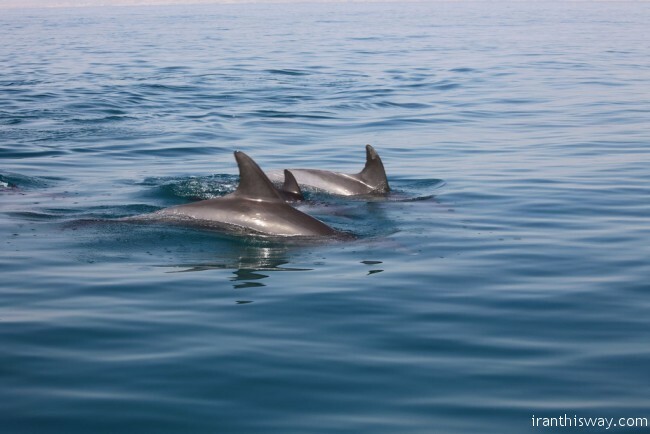 Located south of Qeshm is Hengam Island, where the tourist boats stop to see the dolphins play in the early morning. There is also a variety of tropical fish and stingrays in the natural ‘aquarium’ of the Persian Gulf. Gazelles inhabit the island, and it is said that they obtain fresh water by pressing their hooves into the ground. Hengam Island itself is full of fascinating rock formations and glistening black sand sprinkled over beige sand. Locals believe that a star once fell on this area thereby creating the rocky shapes that make it seem as if from another planet. In fact, it is the result of years of erosion by heavy precipitation. The valley is composed of marl and sandstone, and the rock formations vary from tall pillars, creating canyon-like paths, to hollowed-out spaces and smooth, round stones. With a little imagination, the eye can make out the shapes of faces, hands, animals, and even the map of Iran. A short hike to the top and you can see the layered mountain rock embedded with seashells. Local legend has it that the Valley of the Stars is full of ruh [spirits]. 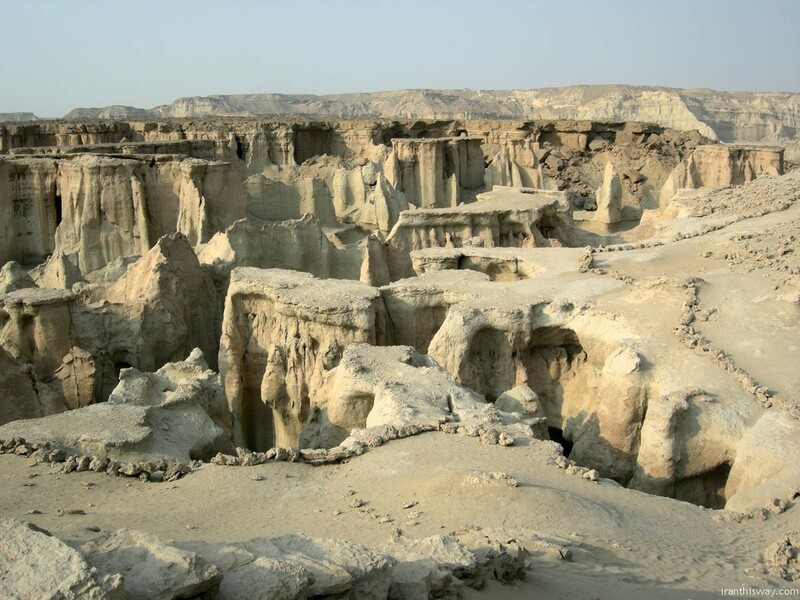 Bandar Laft is situated on Qeshm’s ‘fin’ next to Hara Forest. Even though Yazd is most often thought of as the city of badgir (windcatchers), an ancient Persian architectural structure used to create natural ventilation, a glance at the panoramic skyline of this historical port is proof of a rivalry. Few abanbar (ancient water reservoirs) also exist and are still used by locals today. This fishing town is also home to the Talla Wells, which store clean water and were created by cutting holes into layers of stone. Though in the past the number of wells was equal to the number of days in a leap year, it has dwindled to less than 100, each one with a unique name. 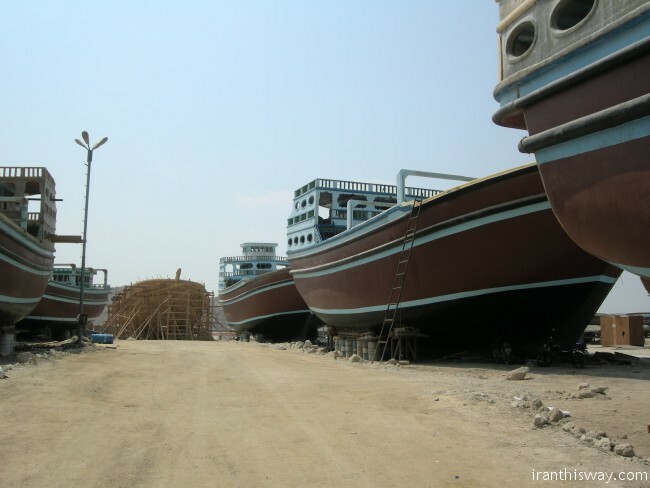 Close to Bandar Laft is a ship-building yard. Lenj, as they are known locally, are mainly used for fishing. Upon entering, you will notice lenj in different stages of building, from those in the beginning phases that are reminiscent of Noah’s Ark to those setting out into the water on their maiden voyage. At 6,850 meters long, Namakdan, literally salt shaker, is the longest cave in the world. Situated in the southwestern part of the island, the cave is a result of sea water accumulating in the faults. The long corridors lead to the breathtaking dome decorated with white, salty chandeliers and stalactites. Overlooking the Persian Gulf, Khorbas Cave is part natural, part man-made. 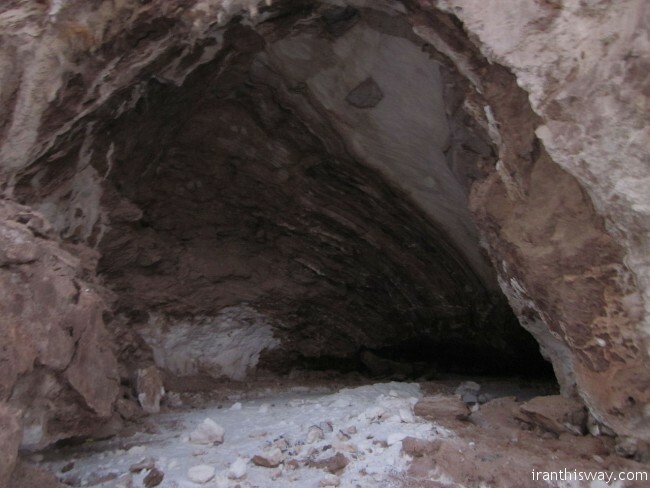 The caves are connected from the inside by a series of tunnels said to have been carved out by ancient Iranians. It is said that this cave may have been used as a look-out system to warn against impending attacks. The striking natural beauty of Chahkooh, literally mountain of wells, has been named as such because of the wells at the beginning of the pass. The pass starts out wide but becomes more narrow, the walls nearly touching at some parts. 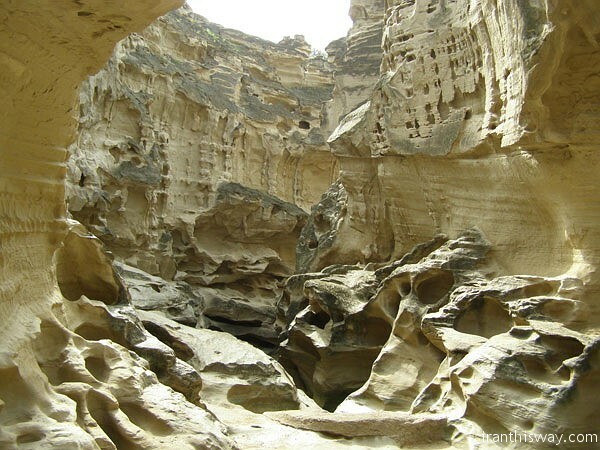 Similar to the Valley of the Stars, Chahkooh is the result of erosion from rainwater on sedimentary stone. 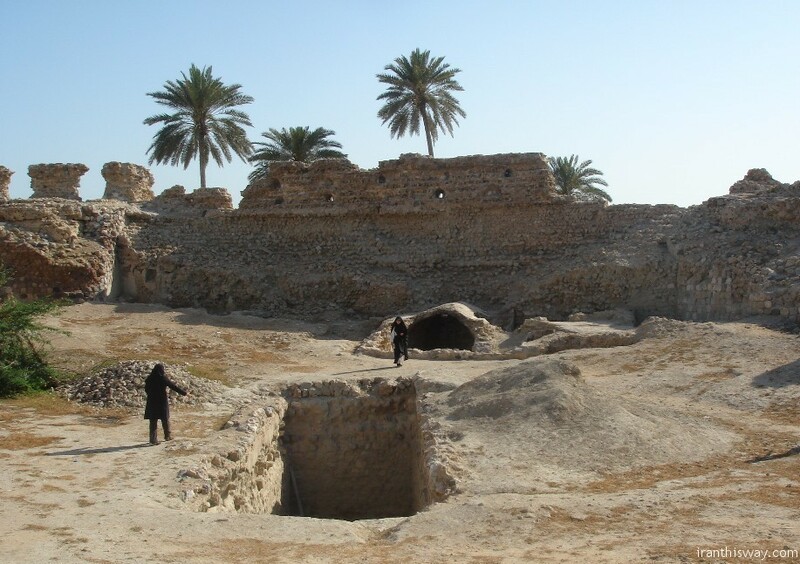 This fortress was built by the Portuguese in the 16th century when they seized Qeshm in a strategic effort to maintain control over the Strait of Hormuz. The fortress was used for over a century, and today, four watchtowers, a number of cannons, and two cisterns still exist.